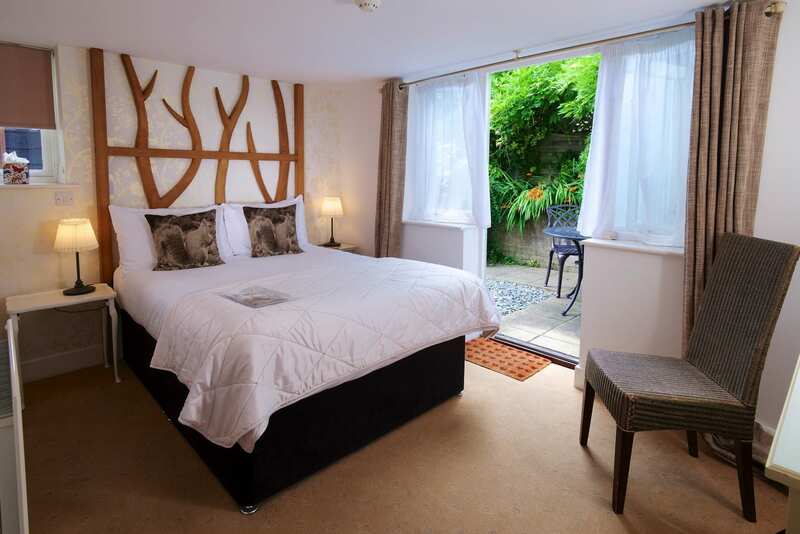 Relax in this delightful, cosy, ground floor room with garden. 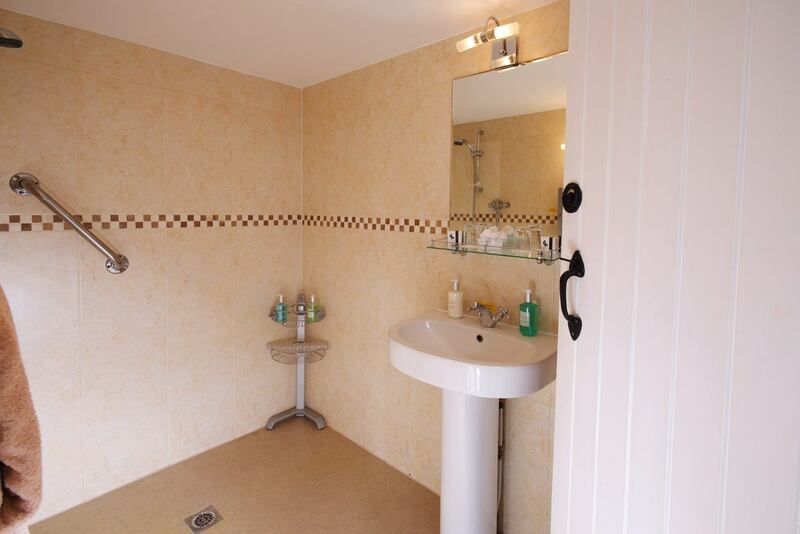 Unwind in this delightful, cosy, ground floor room with an en-suite wetroom. It’s perfect for a romantic couple. 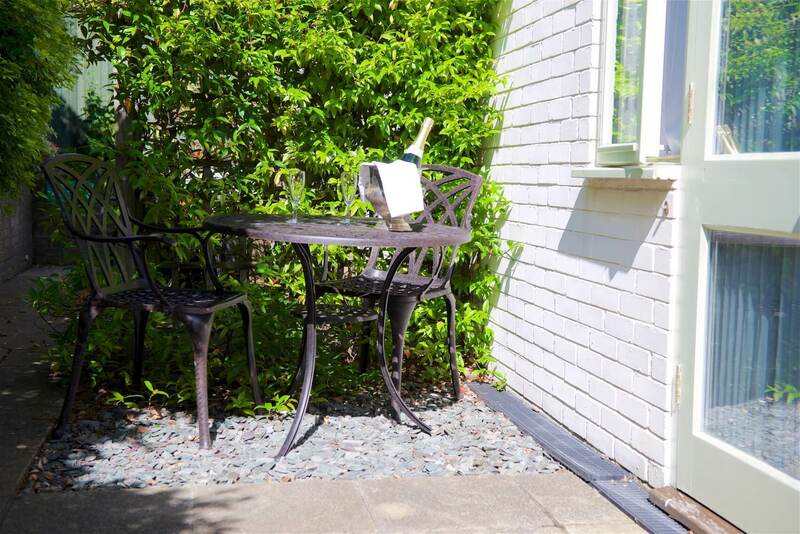 It has a small, west-facing patio garden with table and chairs, for some dappled afternoon sun. 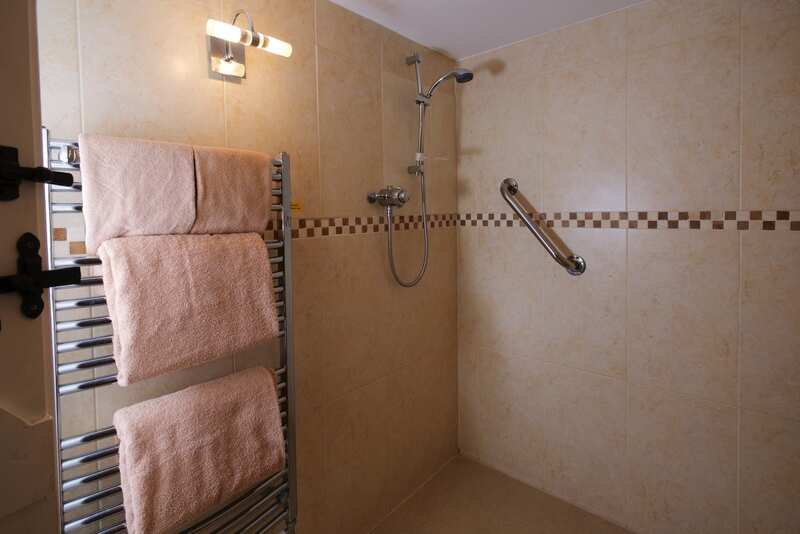 This room has a walk in wet room. 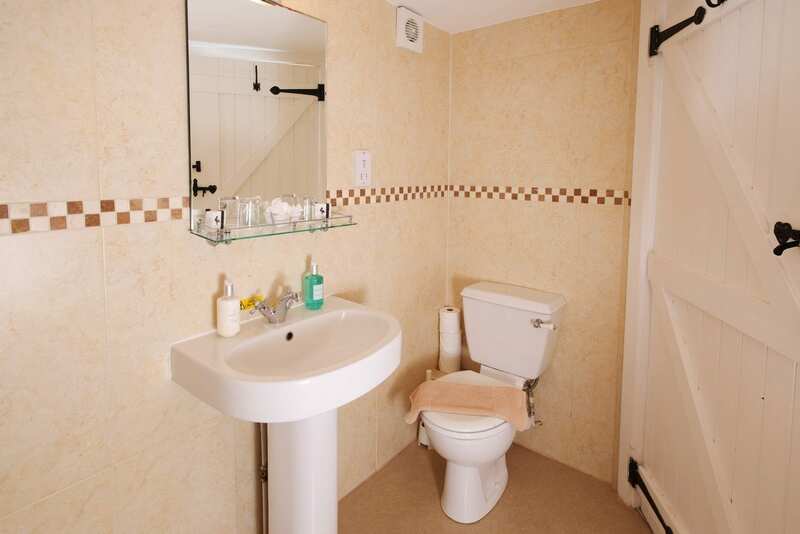 If you are considering choosing this room because you are a wheelchair user there are a few limitations. The door and corridor width is 26inches. The toilet is does not have grab handles. Access to the side of the bed is less than 26 inches. 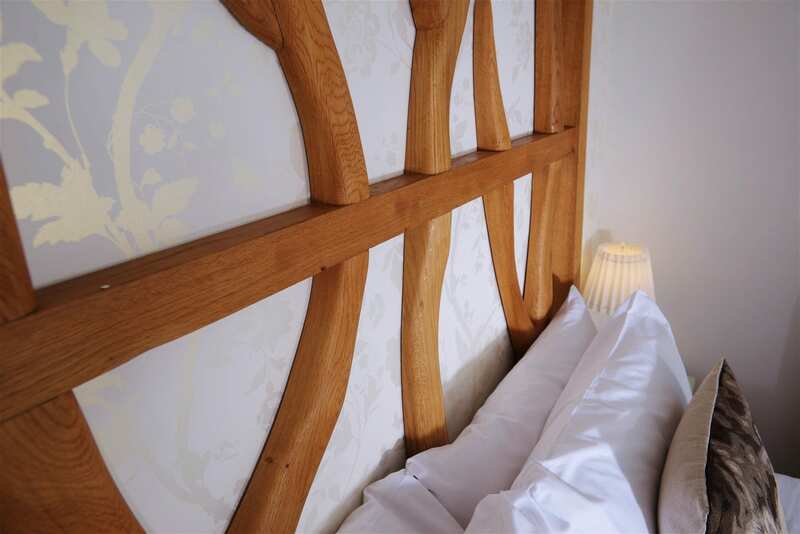 Admire the Forest-themed wooden headboard above your 4ft 6inch wide (6 ft long) double bed, specially created by skilled New Forest artisan Ed to resemble branches growing up the wall. 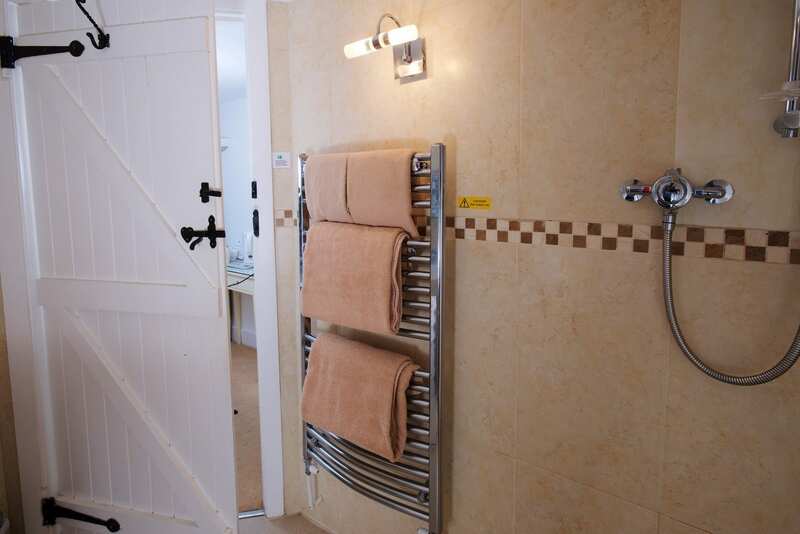 The fresh en-suite bathroom has a wet-room shower over with non-slip mat, toilet and towel rail; plus plenty of bath towels; and Gilchrist & Soames shampoo, conditioner, soap and hand lotion. 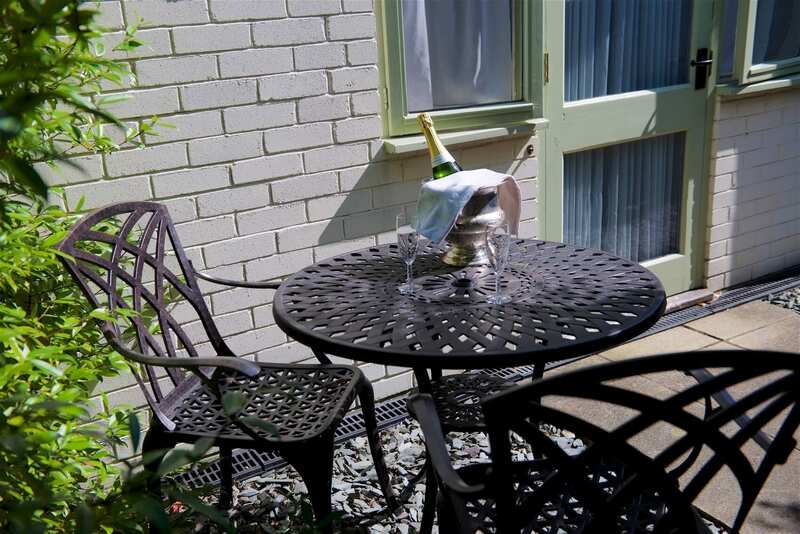 Find your ground floor room, with en suite wetroom-style bathroom and patio garden, tucked away only a short, level walk from the reception area. 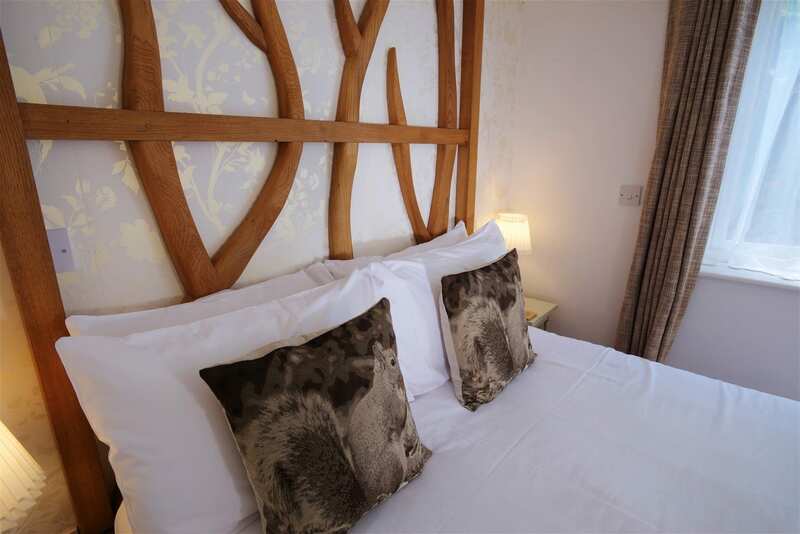 Explore nearby New Forest village of Burley, which gives this hotel room its name. It offers some lovely walks and views – and the village Burley is also strongly associated ancient New Forest witchcraft.